Gold plating is available in 22.7 carat which Swift call Yukon Gold 23 or 18 carat gold which is Eldorado Gold 18. 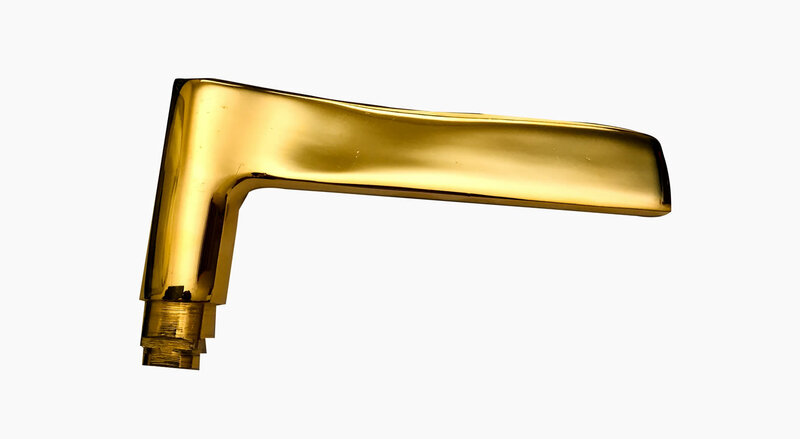 It is available in a rich Polished finish for a glossy appearance or a Satin finish. Satin finish can be polished (smooth), brushed or blasted for additional texture. Gold can be plated in different thicknesses according to the application required.